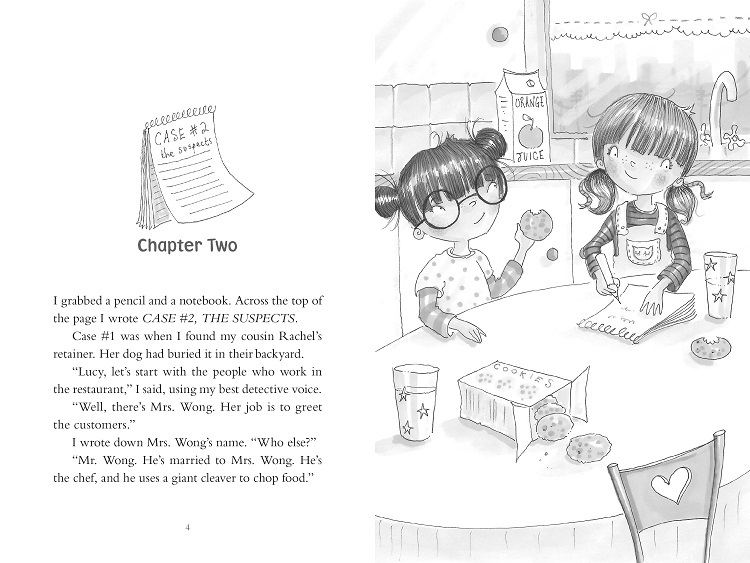 Fourth grader Penina—aka Pinky—is a Yankees fan, an older sister, and Brooklyn's greatest kid detective. 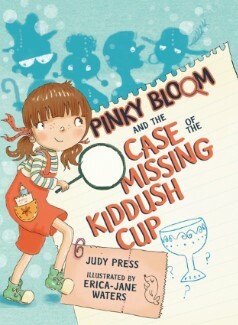 With the help of her pet cat DJ, her best pal Lucy Chang, and her little brother Avi, Pinky unravels a vexing mystery—what happened to the ancient Jewish Kiddush cup that went missing from a museum exhibit? Pinky and her team get to the bottom of things through a series of exciting and intriguing adventures. "Penina 'Pinky' Bloom, a fourth grader at a Jewish day school, considers herself 'the greatest kid detective in Brooklyn,' and there are a few mysteries she needs to solve: Who is putting the Lotus Blossom Kosher Chinese Restaurant out of business? Why are they doing it? And who stole the Kiddush cup and Torah yad from the exhibit at the Jewish Museum? A cast of supporting characters includes Pinky’s annoying younger brother, Avi; Joe, the waiter at the restaurant; Madame Olga, the neighborhood psychic; and the curator of the exhibit at the Jewish Museum. Pinky is a systematic sleuth, listing her suspects and following up with careful detective work, leading to a successful outcome with all mysteries neatly solved. The story is quick, moving, and funny. For example, when Pinky enlists the psychic's help, Madame Olga looks at her crystal ball only to state that it’s for tourists—then picks up her computer instead. Black and white drawings accompany the text.